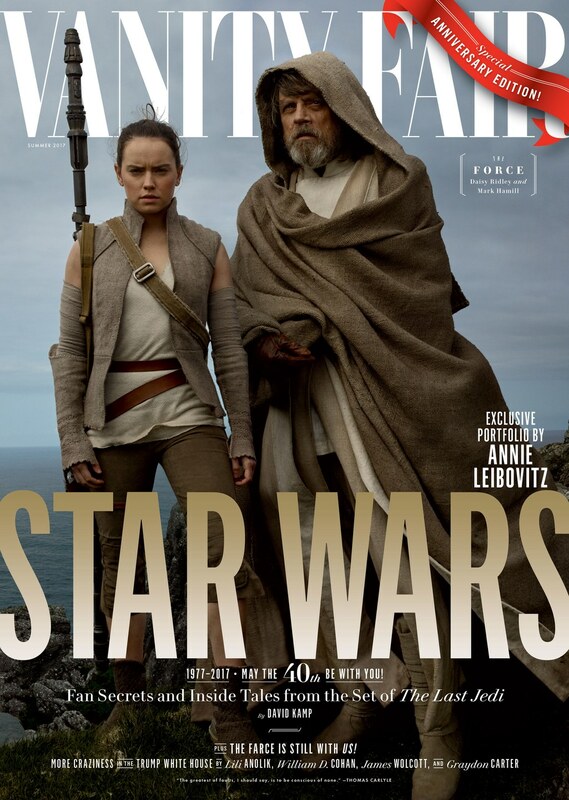 Well, Luke and Rey certainly *look* like father and daughter on the latest cover of "Vanity Fair"
Vanity Fair just released a whopping four covers for their upcoming Star Wars 40th anniversary issue, and we are reeling from the one featuring Daisy Ridley and Mark Hamill in character as father/daughter duo Rey and Luke Skywalker. 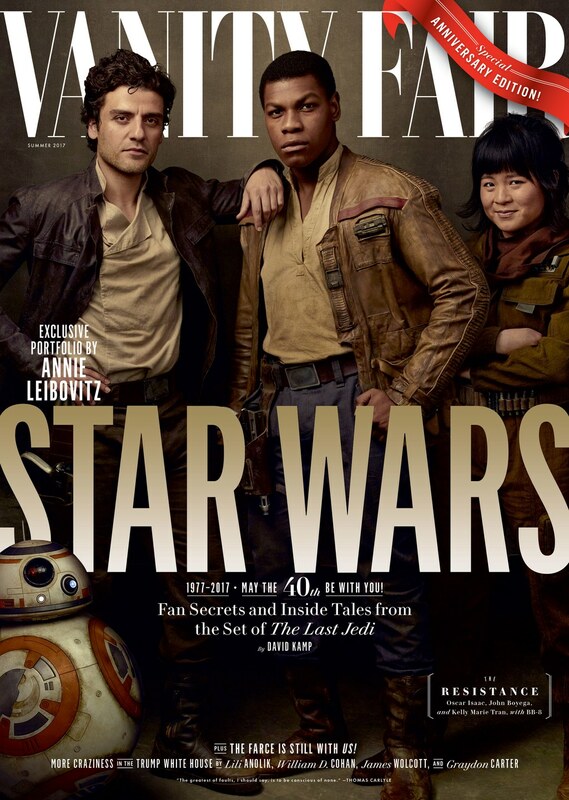 The cover photos were taken on the set of upcoming film The Last Jedi by legendary photographer Annie Leibovitz, who has worked with LucasFilm in shooting photos of Star Wars casts since 1980’s The Empire Strikes Back. For most of The Force Awakens, Luke is missing, and isn’t until the last seconds of the film that Rey finds him to seek Jedi training. It has been speculated that the film’s title, The Last Jedi, might have something to do with the two of them. Additionally, there have been a *billion* fan theories surrounding Rey’s unknown parentage, but the leading theory is that Luke is actually her father. Not gonna lie, this cover is *not* doing anything to dissuade us from this theory. 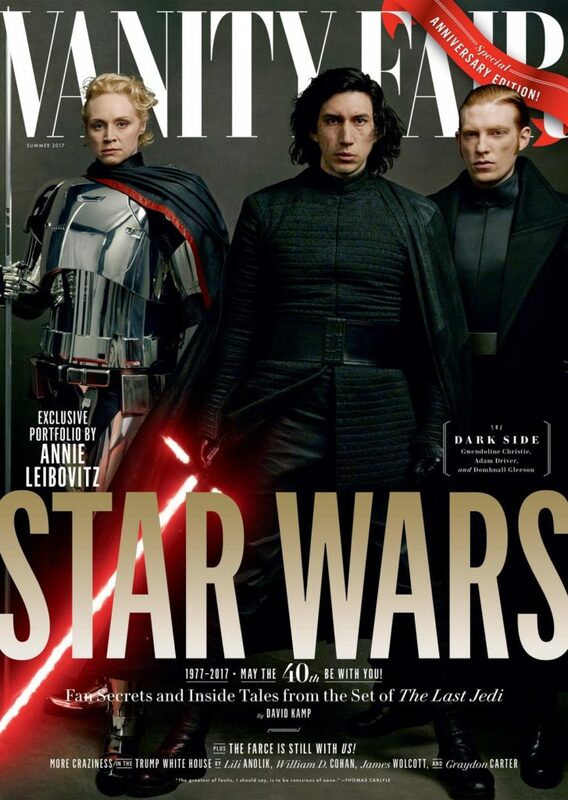 In addition to the last Jedi cover of Vanity Fair, the three other covers feature the characters we love and also the ones we love to hate. We’re sobbing just thinking about Carrie Fisher’s final performance as Leia. Since The Phantom Menace was released in 1999, Vanity Fair has covered each episode of the Star Wars saga. The upcoming issue serves as both a celebration of the Star Wars 40th anniversary and an exclusive on The Last Jedi, the newest installment. 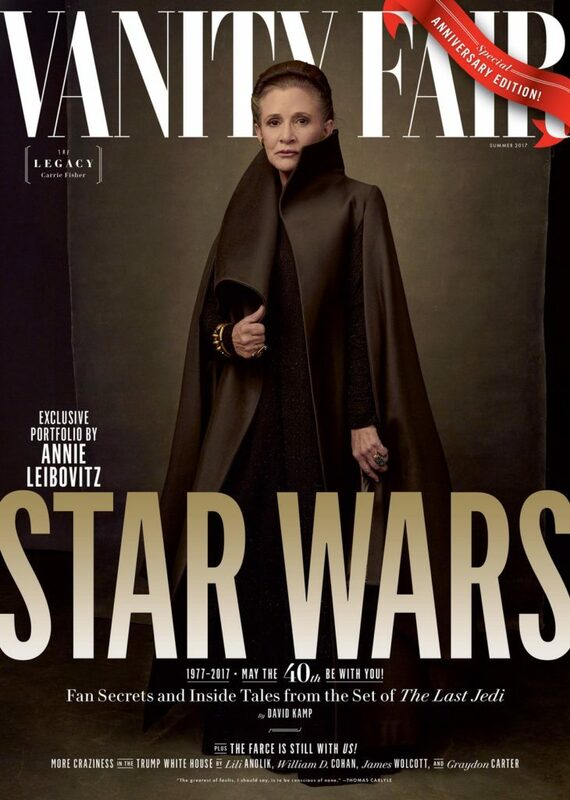 The rest of Leibovitz’s portfolio from her time on set of The Last Jedi will be released on May 24th on Vanity Fair’s website, accompanied by an article from David Kamp.